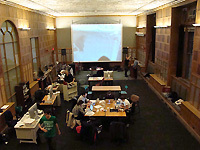 The STUDIO for Creative Inquiry and the Miller Gallery at Carnegie Mellon University (CMU) have received a grant from the Andy Warhol Foundation for the Visual Arts to support a curatorial fellowship for Andrea Grover, who will research contemporary artists working at the intersection of art, science and technology. Grover, founder and former director of Aurora Picture Show in Houston, Texas, has long been interested in artists who work across disciplines. She curated “29 Chains to the Moon: Artists' Schemes for a Fantastic Future,” an exhibition at CMU’s Miller Gallery that highlighted the visions of artists, scientists and designers imagining life in our present and future world. Her residency is co-hosted by the STUDIO for Creative Inquiry, an artist-centered laboratory that supports atypical, interdisciplinary and inter-institutional research at the intersection of art, science, technology and culture, and the Miller Gallery, the university's gallery for contemporary arts. Working as a research fellow and visiting curator, Grover will have access to a wide range of university resources that will enhance her work. 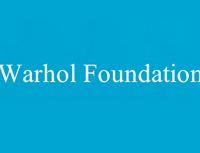 Warhol Curatorial Fellowships are designed to encourage original, in-depth research leading to new scholarship in the field of contemporary art. Grants of up to $50,000 are awarded to institutionally affiliated curators twice a year in support of travel, archival research, meetings, interviews and other activities. Grover will research the impact and legacy of mid-20th Century artists-in-industry initiatives, such as the Artist Placement Group in London and the Art and Technology Program in Los Angeles, on hybrid arts today. Grover says the fellowship will culminate with a group exhibition and publication that examines the state of art, science and technology hybrid practices, factoring in recent cultural trends such as the “Maker Movement.” In order to produce a publication that can convey the complex efforts underlying many interdisciplinary enterprises, she will coordinate a “book sprint,” a collective authoring process by collaborators from different areas of expertise who will work together on conceptualizing, planning and publishing a book in one week. Both the exhibition and publication will analyze the benefits and challenges of convergent approaches to art and science. 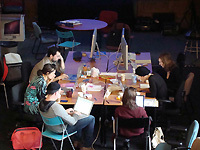 While at Carnegie Mellon, Grover will pursue connections with students and faculty in the arts, science and engineering communities as well as those working in hybrid hubs, such as the Center for the Arts in Society and the Human-Computer Interaction Institute’s Living Environments Lab. 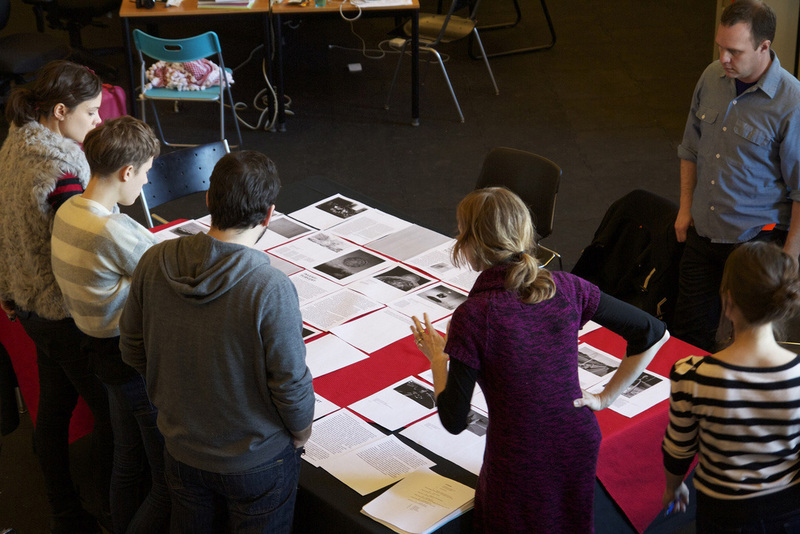 The Book Sprint, directed by Andrea Grover, is part of Grover’s research fellowship at the STUDIO for Creative Inquiry + the Miller Gallery at Carnegie Mellon University. 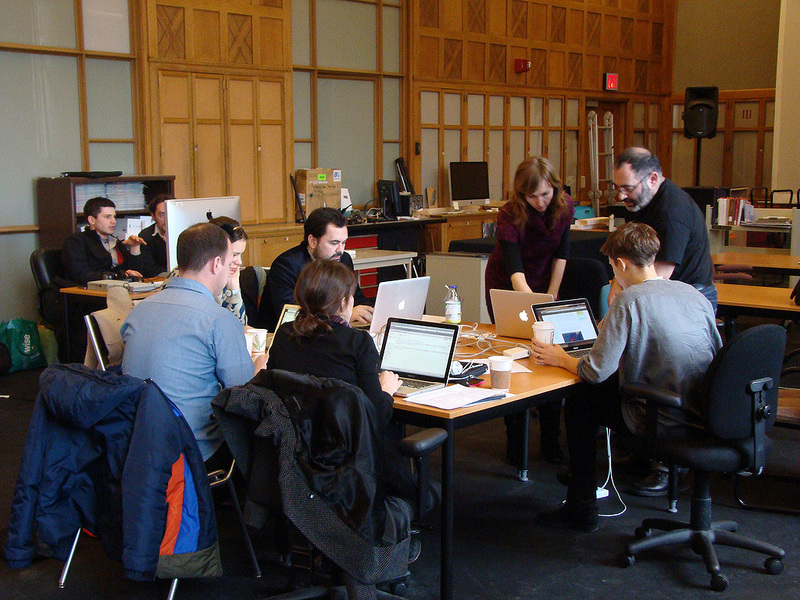 A book sprint is a process for collectively authoring a publication in a condensed period of time. The A/S/T Book Sprint will bring together six cultural producers to collectively create a book on the subject of contemporary artists working at the intersection of art/science/technology, with a focus on the recent shift from artist/inventor dependent on industry or academy (as embodied by pioneering programs from the 1960s such as Art and Technology at LACMA and Experiments in Art & Technology), to independent agent (artists conducting scientific research or technological experiments outside the framework and discourse of an institution). 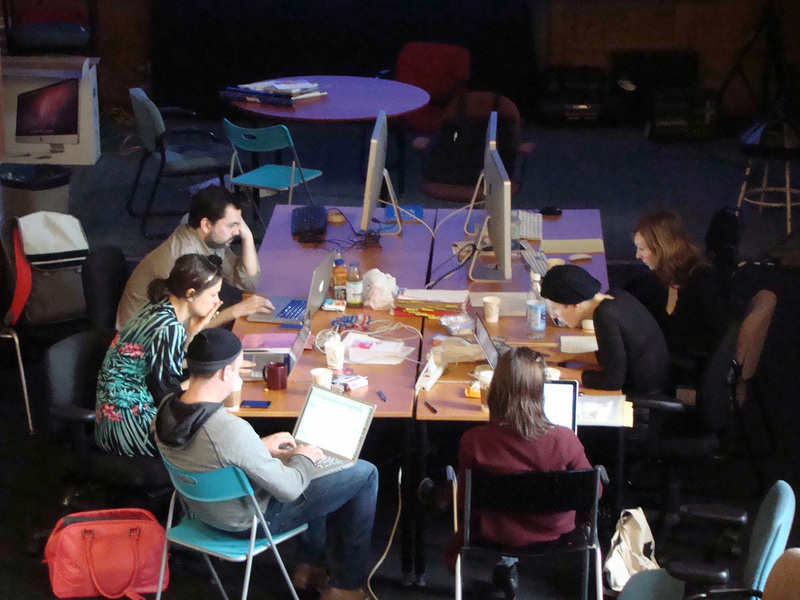 Joining Grover to create this critical reflection on the current state of art/science/technology practice are the following cultural producers: Régine Debatty, Claire Evans, Pablo Garcia, Jessica Young (Designer), and Luke Bulman (Designer). Produced by the STUDIO in partnership with the Miller Gallery at Carnegie Mellon University. Funded in part by a grant from The Andy Warhol Foundation for the Visual Arts.